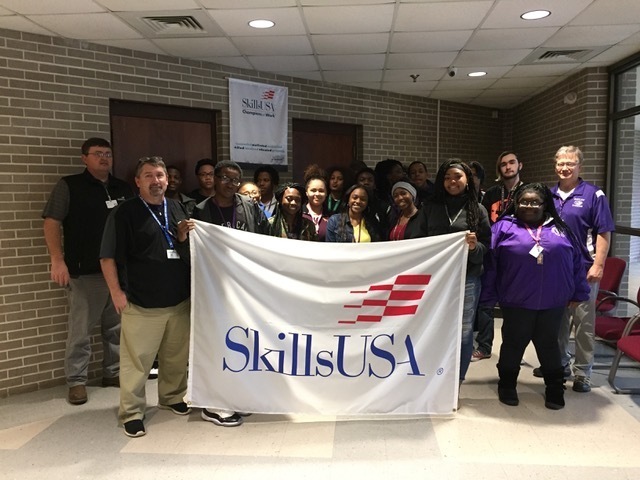 Groups of students from Halls High School and Ripley High School joined staff and students from TCAT-Ripley to celebrate SkillsUSA Week. SkillsUSA is a partnership of students, teachers & industry working together to ensure America has a skilled workforce. SkillsUSA helps each student excel in skills development based in coursework and through competitive events regionally, statewide and nationally. Current TCAT students, some high school dual enrollment students, led tours through all program areas at TCAT: Industrial Electricity, Manufacturing Technology, Administrative Office Technology, Computer Information Technology, Cosmetology, and Nursing. 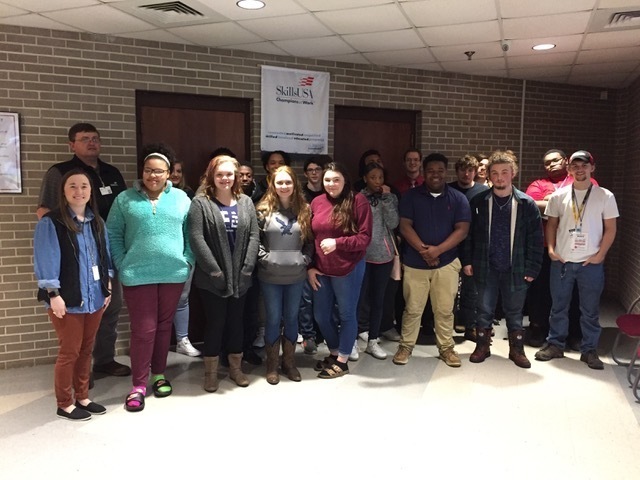 1st photo below: Halls High School students (with Ms. Mallory Hardy and Mr. Thomas Wright) and Martin Crowder, TCAT Instructor and event organizer with TCAT students. 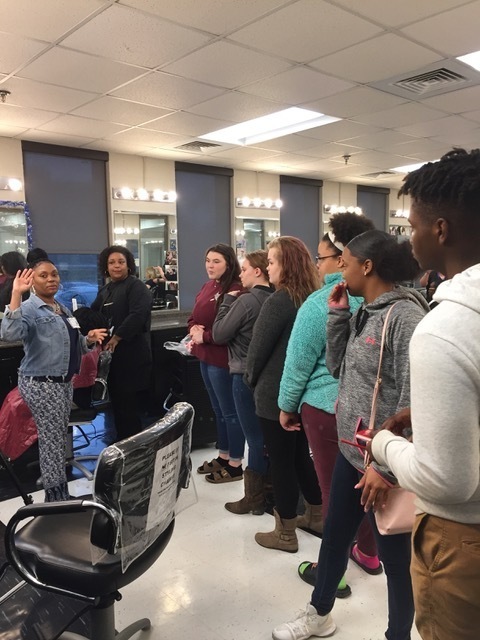 Bottom photo: Moneka Temple (far left), Ripley High School graduate and Cosmetology Instructor, explains her programming to a group of HHS students.